This course offers training in CAD (AutoCAD Release 2013). Students create mechanical, electrical, and architectural drawings by using orthographic projections. 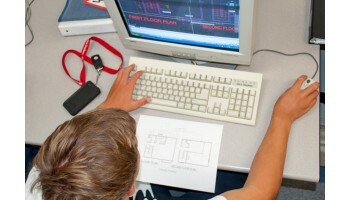 Covers basic computer-aided, two-dimensional drafting and CAD management concepts used to create professional building design industry drawings. Jaide G. has successfully found employment as a Receptionist after completing course(s) in Cosmetology.